After years of searching for peace, one man finds that the path leads back to himself. Kuala Lumpur, Malaysia -- SHANTUM Seth belongs to one of India’s most celebrated families. His brother Vikram is a respected novelist best known for the award-winning epic, A Suitable Boy, while his mother, Leila, was the first ever female Chief Justice in India’s state court system. Seth himself has lived a fascinating life and donned many hats, from that of corporate executive to political activist. He finally found his calling as a Buddhist scholar and it is in this capacity that he recently visited Malaysia, to give talks, one of them at the recently established Indian Cultural Centre in Kuala Lumpur. Shantum Seth ... Buddhism suits my temperament and my search for a non-god based way of life. I spoke to Seth, 52, about the many twists and turns his life has taken and found him to be a thoroughly engaging individual. He is an ordained teacher (dharmacharya) in the Zen (Dhyana) lineage of Buddhism and also conducts pilgrimmage tours in India, taking participants on both the physical journey through the holy sites of Buddha’s life (cities such as Bodhgaya, Varanasi and Kushinagar) and a spiritual excursion. “My teacher (Vietnam-born) Thich Nhat Hanh is here on a retreat and I wanted to visit with him. When the External Affairs Ministry in India heard I was coming, they suggested I offer some talks on Buddhism,” he explains. 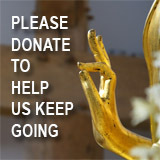 His talk, In the footsteps of the Buddha, is one that Seth has been giving since the late 1980s. I asked if his quest was to awaken a certain consciousness in others, and if he was in effect an evangelist for Buddhism? “I don’t look upon it as a conversion. It is a personal path, but if I feel that I can help people in some sort of way to help calm their mind I will try. “I was born a Hindu, I went into the corporate sector, then politics, where I eventually felt burnt out. I suddenly came to the realisation that rather than fighting for peace, I needed to be the peace I sought. Finding the right path was an eventful journey for Seth, who began by studying in prestigious schools in India before going to Britain to study tootwear and technology, following in the (ahem) footsteps of his father Prem, who spent many years working for Bata, the famed shoe company. Tellingly, he also did a thesis in Gandhian Economics, which focused his thoughts on the economic injustices of this world. Seth went on to work with Oxfam and the United Nations Development Programme, but his most crucial transformation came in 1987 when he was enjoying a spell in the bohemian world of artiste management on the Pacific Coast of the United States and met Thich Nhat Hanh. Today on his tours many of the participants benefit from his experiences. “I think the tours are very transformative. I feel blessed introducing people to the historical Buddha. We have periods of meditation and reflection and there is often a feeling of awareness or self-realisation that comes with this,” he says. 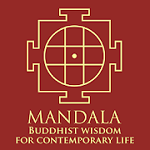 When one investigates Buddhism it becomes clear that like most other religions there are a fair number of variants such as Mahayana and Theravada (usually associated with Sri Lanka) and many other localised variations, particularly in Tibet and Japan. Seth does not see this as a problem that divides the Buddhist world. “I think it can be both a strength and a weakness. The core teachings and values of different schools are the same, even if the emphasis may differ. I draw my ideas from both Mahayana and Theravada and find that it all blends quite easily. Seth (www.buddhapath.com) has contributed to a number of books, including Walking with the Buddha; I have arrived; I am home, and Volunteers against Conflict, and served as a consultant on documentaries such as Life of the Buddha and The Story of India. He is currently working on a Hollywood production entitled Buddha. 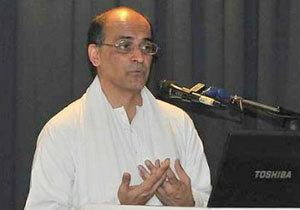 He also hosts a weekly TV programme on Zee TV in India called Buddham Saranam Gachami (I take refuge in Buddha). Seth is also great traveller, having visited more than 50 countries! He describes himself as having once been “totally addicted to squash” and also has an ear for the reggae music of Bob Marley and Peter Tosh. He now lives with his wife Gitanjali, their two daughters and his parents in Noida, near New Dehli. Both Vikram and his filmmaker sister Aradhana stay with the family when they are in India.